As more and more creativity begins revolving around 360-degree videos, Samsung is ensuring it’s keeping pace with the changes. That’s why they announced a brand new version of the Gear 360 alongside the Galaxy S8. 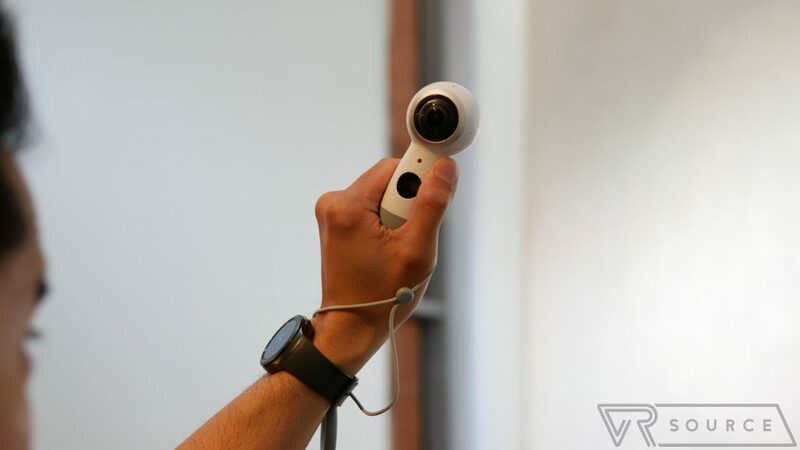 It’s not a Gear 360 2, or Gear 360 v2, but rather, just the same Samsung Gear 360. But trust us, you’ll notice the difference between it and its predecessor! The most apparent change is obviously the redesign, sporting a slimmer looking chassis than its predecessor. What’s really nice is that the new design allows it to be held a lot easier in the hand than before. This time around too, it has a solid column that accommodates the battery which also doubles as a stand. 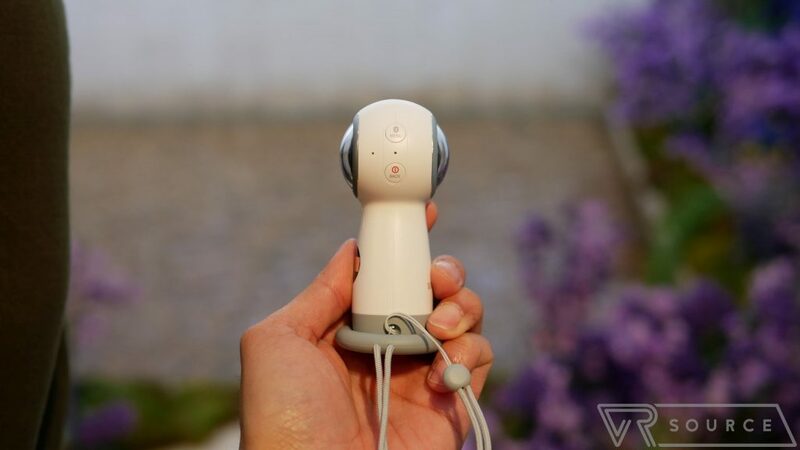 The redesigned column also has a smaller footprint than the spread out feet with last year’s version, meaning it’s unlikely to be seen in 360 videos. If you want to carry it around, there’s an optional strap available, and lastly, there’s a mount on the bottom if you want to fasten it to a tripod. Visually, we can’t deny how much sleeker it is this time around, but at the same time too, the construction seems solid enough to endure some beatings over time. And it is IP53 certified for dust and water resistance. Moving onto the nitty-gritty stuff, the new Gear 360 features two 8.4 MP CMOS sensors with fish-eye lenses – ensuring that there are no gaps in coverage with 360 videos. It essentially achieves real 4K resolution, but unlike its predecessor, it can now shoot at that cinematic frame rate of 24 FPS. Meanwhile, recharging is done using the newer USB Type-C connection, which should also speed up file transfers. The other big new addition here is the ability to live stream a 360-degree video, but it tops out at a 2K feed through services like YouTube. That shouldn’t be surprising, given how taxing streaming 4K could become though. 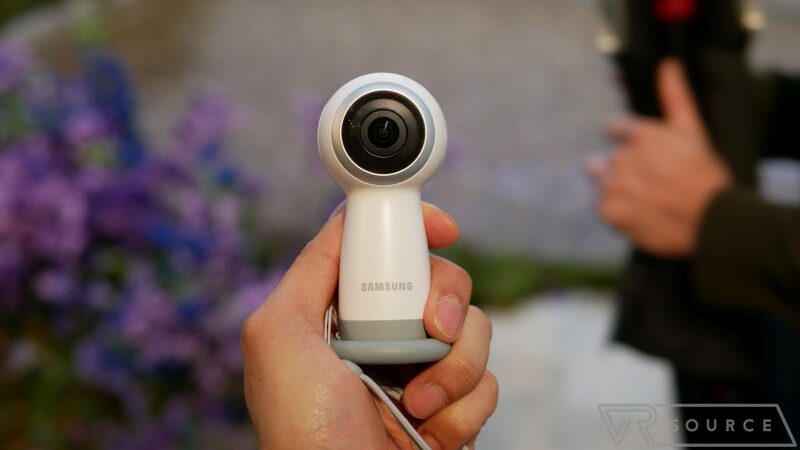 Out of the gates, the new Samsung Gear 360 will be compatible with most of Samsung’s flagships, including the new Galaxy S8 and Galaxy S8 Plus, as well as the iPhone 6 and 7 and some older Galaxy and Apple flagships. Pricing and availability weren’t detailed at our briefing, but you can bet that it won’t be long before you see them on shelves. Let’s just hope its pricing remains the same as before, while its predecessor gets some kind of discount.